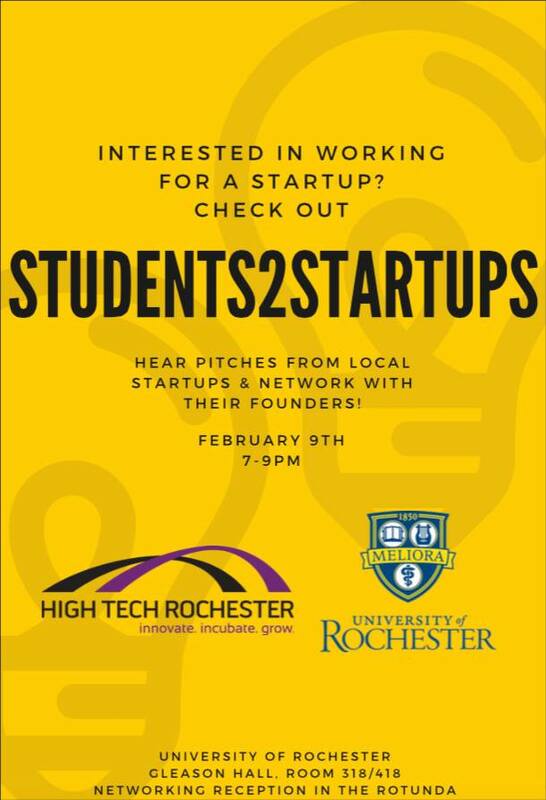 Students2Startups is a brand-new-to-Rochester event designed to connect students with local startup founders. The first Students2Startups will take place on February 9 from 7:00 to 9:00 p.m., in Gleason Hall, Room 318/418. It will be an opportunity for students to hear pitches from local startup companies, decide which companies they’re most interested in, and network with the founders of those companies. Attendees must register online or call 276-3500. Visit the event page or Facebook event for more information.